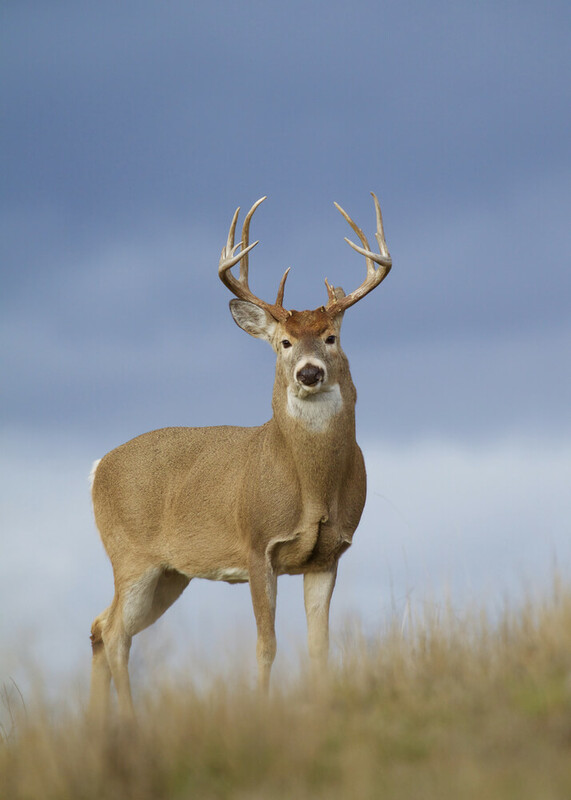 Hogarth’s Wildlife and Animal Removal specializes in Deer Management. Deer are hoofed animals that range from grey to brown in color. There are about 40 different species in North America. Cities, townships, municipalities, and airports often need professional help in reducing the amount of them in a particular area. In Northern Michigan, we experience a high volume of Whitetail deer. When these animals become overpopulated in a city, they can become a danger to its residents for a number of reasons. Deer prefer to stay within a certain area and will rarely venture off to join a new herd; if they do, it is typical of the other herd to not accept the animal. Their herds can include up to 25 members! This is why management and population control is so important. Airports, for example, will have issues with deer if they do not have 12 ft or higher fencing around the airport. Anything less than 12 ft high will allow them to jump over can become a hazard for airplanes taking off and landing. Hogarth Pest Control & Wildlife Company has been trained and certified to shoot in sensitive environments, and can remove overpopulated deer to provide a safer environment for the client.